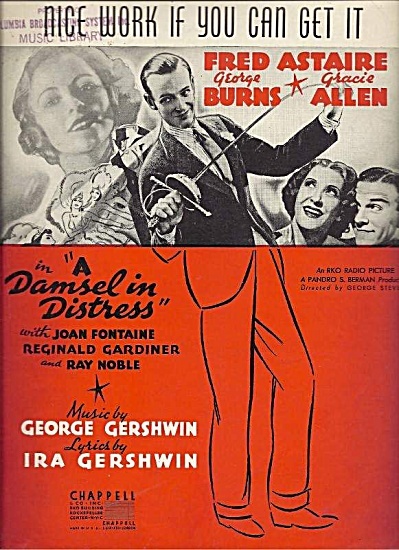 George and Ira Gershwin wrote this song (and eight others) for the 1937 film Damsel In Distress, starring Fred Astaire, who introduced the song. It has been widely recorded by artists including Astaire, Bing Crosby, Ella Fitzgerald, Frank Sinatra, Sarah Vaughan, Billie Holiday and Tony Bennett. And if you get it won’t you tell me how? “Nice Work If You Can Get It” was recorded in July 1993 and was released that year on Steppin’ Out. It was arranged by Tony Bennett and Ralph Sharon.